So, today is Valentine’s Day. Which means there are a lot of posts about love. People post about their significant others or children. People post, wishing they had a significant other. Some people even post, bitter, that their significant other isn’t what they want them to be. All of that is great but it’s very much about us and our own lives. Love is meant to be spread abroad. We have been filled, with the very love of Christ Himself, but what are we doing with it? There is a lost and dying world all around us. Brokenness everywhere we look. There’s a nursing home down the road with plenty of unloved individuals. There’s a widow next door that’s unloved. There’s an orphan that’s been abandoned. You are surrounded by the unloved. We have the answer and we don’t share it. As a child, I thought this meant that the Kingdom of Heaven had strong gates. That no matter how bad things got, hell couldn’t knock them down. My understanding was so backward. In reality Jesus has established a church to knock down the very gates of hell!! They can’t hold us back. They can’t stop us. Yet, we typically stay holed up in our own lives, unwilling to advance. We have many weapons but I believe the strongest is love. All of hell, can not counter love. Love pulls in, love draws, love embraces, love accepts. Love can pierce the very hardest hearts and the darkest hell people live in. Love is what they need and love is what we have. We have direction to take this across the world. So, why don’t we? Our motives are skewed. We don’t have genuine love for others. We need a deeper revelation of Christ’s love. We love Him because He first loved us. Someone is waiting for us to be, His first love to them. Don’t be afraid. Step into the darkness and pain, of the hell people around you are living in. 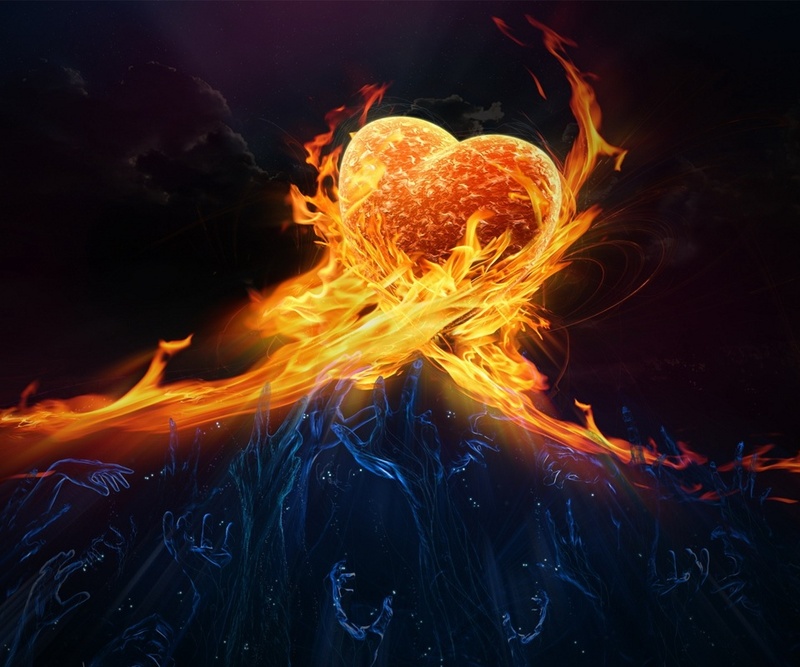 Take the love you’re filled with and boldly confront the hell surrounding you! Happy Valentine’s Day. To Hell With Love!